I was quite fascinated with how it was making a large dimple in the water from the waters surface tension. This entry was posted on 2014/09/07 by Robin. It was filed under Birds, Reifel Migratory Bird Sanctuary, Shorebirds . Lovely shot. 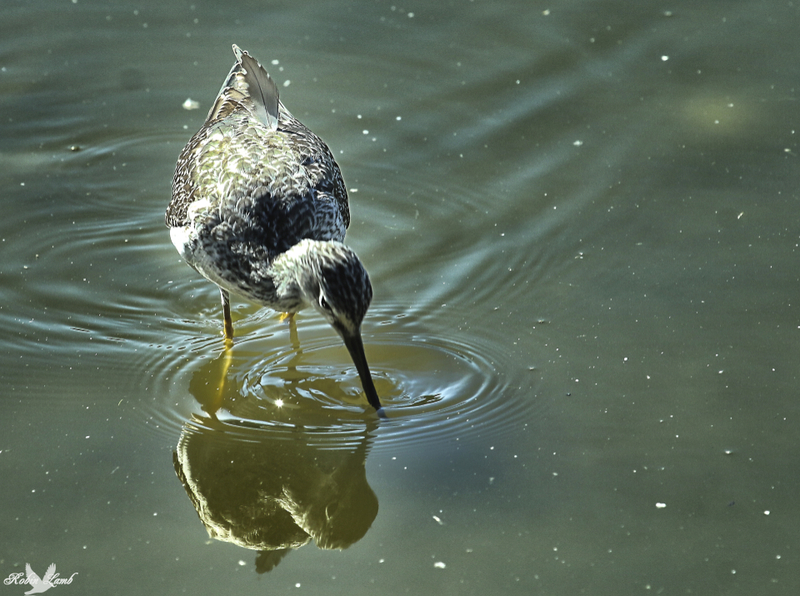 I find that so often I may be wanting the bird in a picture,but end up liking the water patterns just as much. Ruth, thanks! I quite often feel that way too! I think stopping water motion is quite interesting! Magpie, thank you very much! You’re welcome here anytime!